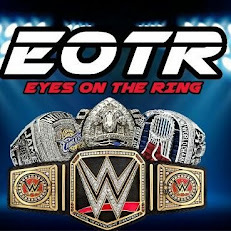 To kick off the KOTR week on EOTR, we start with a top 5 list of the best King of the Ring tournament matches to take place in the event. Now, the tournament (on PPV) over the years wasn't infamous for the matches being great, but there have been quite a few gems in the history of the event and told I'd like to rank them. Let's get into it. -This match is truly underrated. I always felt that RVD and Jericho had immense chemistry and that these two worked together. 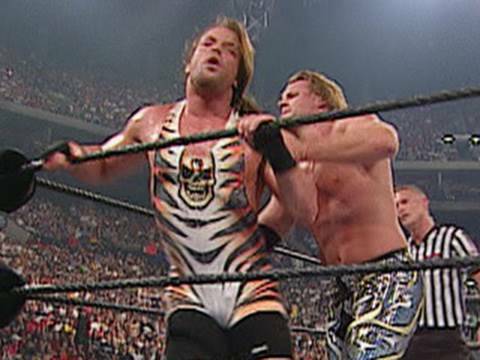 This match was no different, as we watched RVD and Jericho put on a great match that ended up with RVD walking away with the victory to advance to the final. I wish Jericho and RVD would have fought for the WWE Title at one point during their careers, but this is one of their best matches together period. -Triple H and Foley have had great matches for years and this was essentially where it all started. Triple H would have Chyna by his side to help him and she would prove to be vital in so many ways on this occasion, as Triple H walks away with a victory and that King of the Ring crown. Definitely one of the best KOTR finals match I've ever seen without a doubt. -Another underrated bout that saw Austin get his lip busted and required stitches. Mero and Austin were an underrated feud in a lot of ways and though Austin usually came out on top in their feud, their matches were always very good and this one was no different. Austin takes the victory and moves on to the Finals. The rest is history, as they say, as this is the precursor to the start of Austin 3:16. 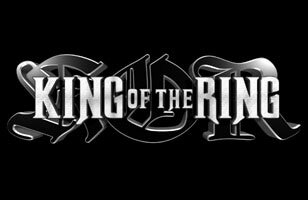 -This is the best King of the Ring Finals match I've ever seen. Only 11 minutes long, but both Edge and Angle worked so well together, that their match is completely entertaining and feels perfect as you watch it. Edge would end up getting a huge victory over Angle, who would go on to wrestle a classic against Shane McMahon later on in the night. This was the biggest moment in Edge's career as a singles wrestler. It began his transition into a future legend. 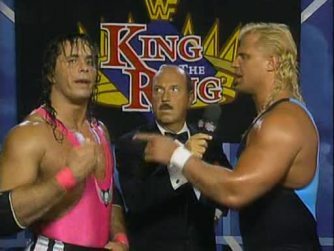 -While not as good as their true classic Summerslam 1991 match, this was a damn good match and the best match I've ever watched take place in a King of the Ring tournament. Bret was always good in the ring against Mr. Perfect and Mr. Perfect brought his A game here. Bret does end up winning and garnering a victory, but regardless, this match is a treat to watch. It really showed how much faith WWE was starting to have in Bret, as he ended up winning this tournament and this was the most significant match of the night. Great contest. What are your top 5 tournament matches? Post them below in our comments section.